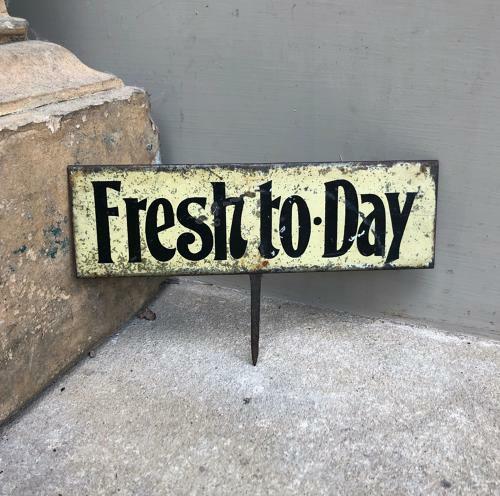 Edwardian Grocers Tin Advertising Sign for FRESH TO-DAY. Great original condition with its spike. Post is first class signed for, for £3.